During my recent trip to the USA I spent over a week in Alaska. 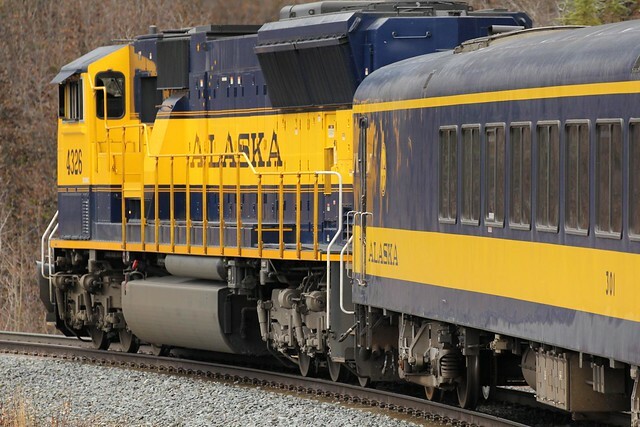 Since the the USA’s 49th State is so remote I decided to travel there via the Marine Highway Ferry and on my journey back south catch the half day Alaska Railroad Aurora Winter train from Fairbanks to Anchorage. The Aurora Winter train leaves Fairbanks for Anchorage once a week on Sunday, after making the reverse trip the day before. The quite reasonable cost of a ticket and great scenery along the route makes the decision to catch the Aurora Winter train a no brainer. Adult tickets cost about the same as an Alaska Airways flight and children travel at half the adult rate. I suggest taking snacks such as chips, sandwiches, chocolate etc with you from Fairbanks as the costs for these on the train are high. 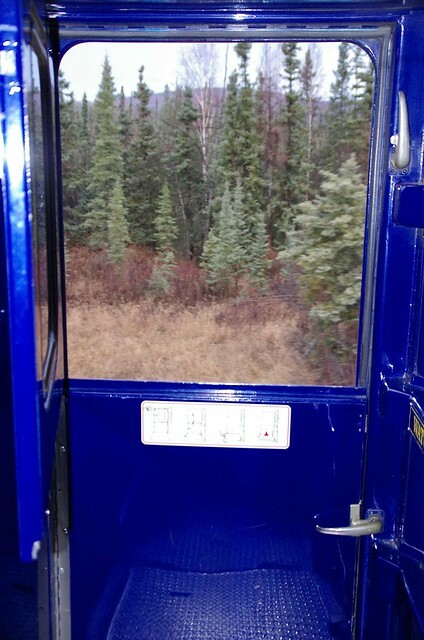 Out of all the scenic train trips I’ve taken, a unique feature of the Alaska Railroad Aurora Winter Train was that the top half of carriage doors and all of the back door could be opened while the train was moving. Although it was just the early days of winter and I was wearing a super warm military surplus jacket, looking out of the opened top door or pointing my camera out to take photos meant my face and the hand holding the camera without a glove became very cold quickly. As the train passed through towns or across rail crossings it made regular loud deep tooting sounds on the horn which you can hear an example of in the video below. 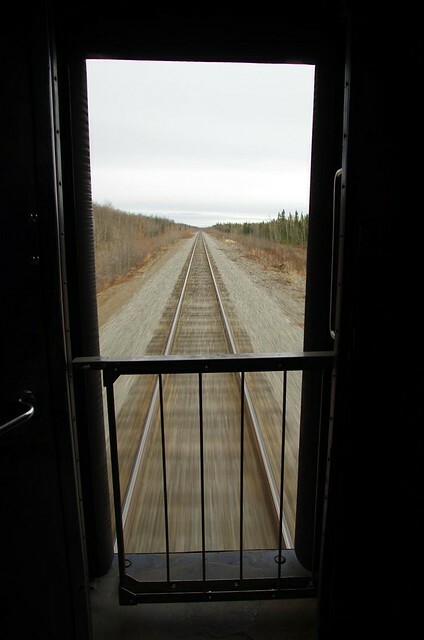 The Alaska Railway train between Fairbanks and Anchorage is the only remaining flag stop train in the USA. 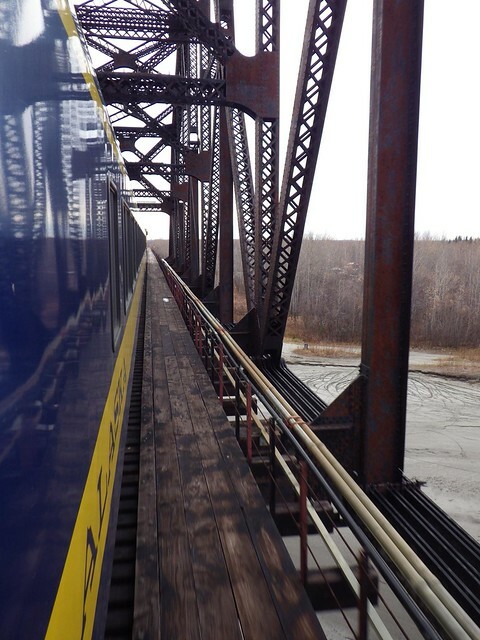 This means that it will pick up passengers between Talkeetna and the Hurricane area if they wave a large white flag or cloth while standing at the side of the train tracks. 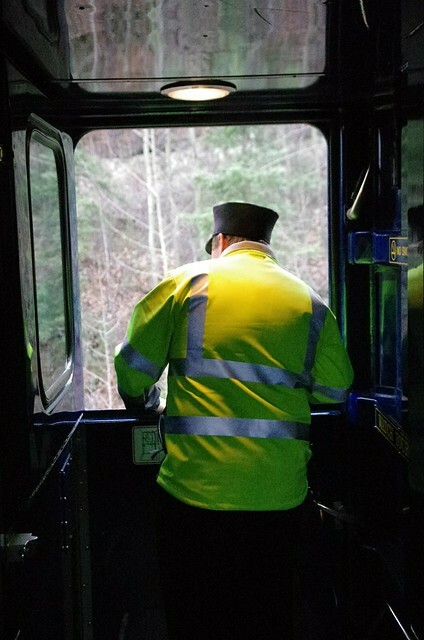 This is a photo of the train conductor getting ready to open the carriage door and help a flag stop passenger get onboard. 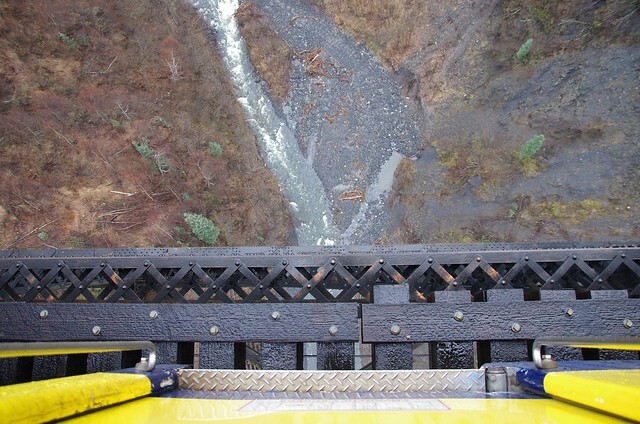 Make sure you’re looking outside when the train passes over bridges as the view can be spectacular. This is especially the case when the Aurora train pauses for a few minutes as it passes over Hurricane Gulch’s 79 metre drop. Elsewhere the train passed moody atmospheric snow capped cloudy mountain scenery. 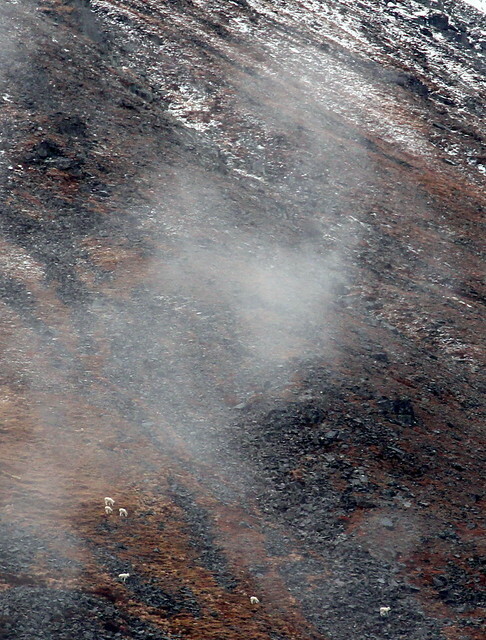 If you have eagle eyes and a big camera zoom or binoculars you might spot wildlife living on the mountains, such as the nimble footed mountain sheep below. At the end of your journey you’ll reach Anchorage at 8pm if the train is on time, almost 12 hours since leaving Fairbanks. Hopefully you have a mobile phone ready and the number of a local Anchorage taxi service stored in it because there were no cabs waiting at the station when I got there. 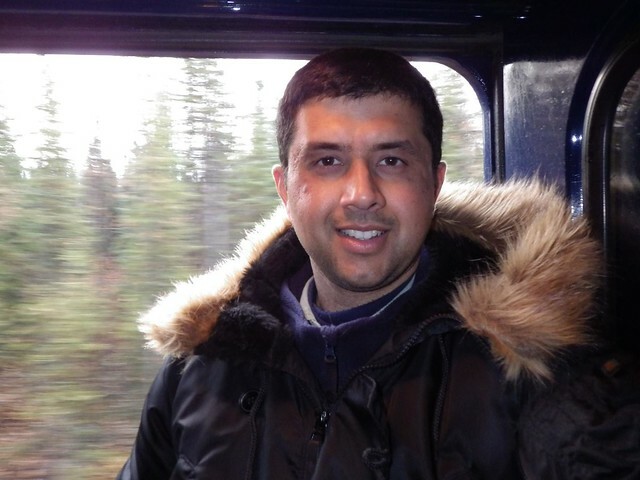 Great travel blog, thanks Neerav. Looks like a great trip! Might be one to add to my list.